Welcome to Academy Mortgage, Construction Lending Department ! Dan is a 40 year veteran of the Mortgage Banking industry. His responsibilities include marketing, sales, and development of the company's investor group. Prior to joining Academy, Dan owned and operated Federated Mortgage Company which he founded in 1983. He is co-founder of Puget Sound Mortgage Lenders Association and serves as Honorary Board Member. Susan joined our team in May of 2018. Susan was an Academy Branch Manager for two retail offices for the last 9 years prior to joining the construction dept. Susan brings over 38 years of experience in mortgage lending to our team. She has been a processor/closer/underwriter/Manager and she oversees the running of the construction department. Taylor joined our team in 2017, she is a construction loan processor and closer. She works closely with your borrowers to insure they understand the construction process. Taylor will work with your borrower from the processing of your construction loan, thru closing, handling of ordering inspections when draws are needed. Taylor works closely with the loan officer, borrower, investor and builder to insure the construction build goes smoothly for all. Jeff joined the construction team in October of 2017. Jeff underwrites the majority of the construction loans and places them with private or institutional investors. 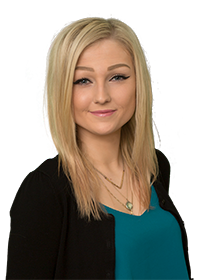 Madison is a licensed loan processor/closer and has been with the construction department since May 2015. Madison will work with you, the builder, investor and your borrowers from the beginning to the end of their construction build. Madison also handles the monthly payment statements sent out to borrowers on their construction loan. She is here to help everyone thru the process. Barb joined our team in October 2016 after a 42 year career in Escrow. She brings a tremendous amount of knowledge to the team. Barb’s duties include, setting up of new files, handling all title and escrow questions, assists the processors with payoffs, insurance, conveyance’s and storage of all closed files. Barb also is involved with investor relationships. Lolli is licensed in Pierce County Washington. Heavily involved in Customer and Investor relationships.